Mohammad Javad Zarif takes to Twitter to wish the Jewish people a Happy New Year, includes photos from Iran synagogue. 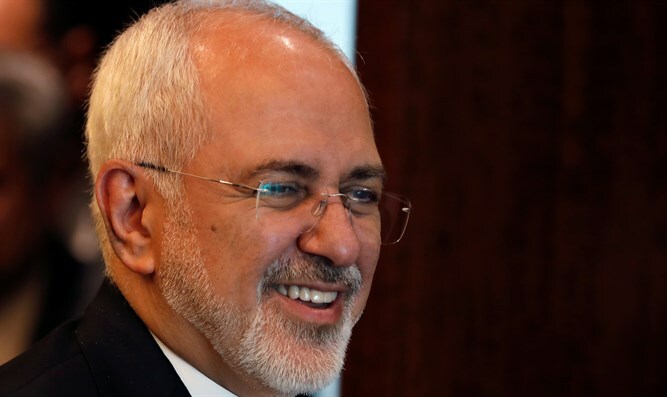 Iranian Foreign Minister Mohammad Javad Zarif on Sunday wished the Jewish people a Happy New Year on Twitter. “As the sun gives way to the moon, I wish all my Jewish compatriots and Jews worldwide a very Happy New Year filled with peace and harmony. Happy Rosh Hashanah,” wrote Zarif. The tweet also included photos from a synagogue in Iran. In another gesture to the Jewish community, Rouhani later donated $170,000 to the country's only Jewish hospital.